Yesterday morning while I was working on some projects for Cultivate’14, a Tweet caught my eye. Garden Center Magazine shared some data about QR codes in the horticulture industry. It was so interesting, I was going to write a blog post about it when I came to a good stopping point. But right around midday, I had one of those “Stop the presses!” moments that I experienced working for a daily newspaper. Just before 11 a.m., Cody Smith, the National Account Manager from Scanco, sent me a Linkedin connection invitation. And not that long afterward, I received a phone call from Cody, who was joined by Scanco’s social media guru, Devin. I wasn’t surprised at first when Cody reached out to me, because I had a pretty fun Twitter conversation with them and Robert Wood about Scanco’s plans for a Star Trek theme at Sage Summit 2014. (The big Star Trek convention is the weekend after Sage Summit, so Scanco is throwing around the idea of having a Trek theme at their booth. It would fit, considering they would look the part holding their scanners.) 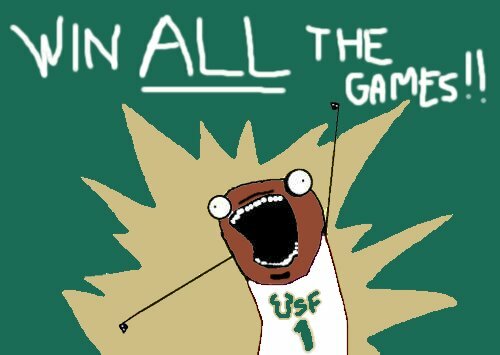 We exchanged a few pleasantries (we all went to USF — go Bulls! ), but the conversation quickly turned serious. They had remembered that I wrote a blog post about the session catalog being released, so they called me along with other Sage partners and other third-party vendors. They asked if I could spread some very important news for them. 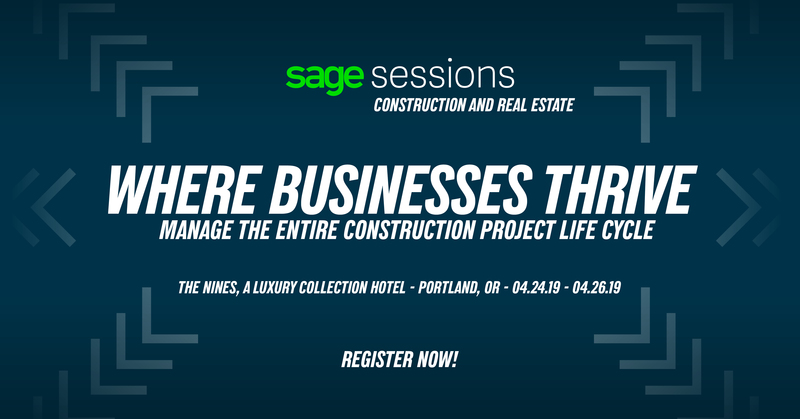 When I heard what they had to say, I thought it would be a perfect time for me to amend my tips for registering for Sage Summit sessions. “Your contact from Scanco is correct. We just scheduled all our sponsor sessions yesterday so they will be added. In addition, we have more Sage ERP stations that will be added. I am working with ERP team on those right now and expect them to be uploaded by end of week. We also have some great sessions forthcoming from our Diamond Sponsors – Microsoft and MasterCard – dealing on issues of technology, payment security, etc. I expect those items to come within next couple weeks. They are working on them now. Obviously, I realized I had to amend my tips for session registration right away. (Well, it would have been right away, had it not been for a glitch in WordPress that I didn’t get cleared up until 4 p.m. yesterday.) I feel silly leaving out one of the most important pieces of advice: Sessions are subject to change. Whether it’s a session being added due to popularity or a session being canceled last minute because the speaker ended up with laryngitis, the session catalog is always a little bit fluid, even after its been released. Some (sessions) are already full. As I said, when I see theater sessions getting full, we are asking product teams to add more of the same – but they can’t always do that for resource reasons. Across all days of the conference, as of Monday, we already had 1700 seats booked in the theater sessions alone. Lots more if you add the breakout booking count. So instead of that, it’s a good idea to fill up your schedule right away, then make changes as time goes on. You can add and remove sessions from the online agenda very easily. (I know — I did this several times already.) Just remember to revisit the site once a week or so, or you may end up with more gaps than you intended. Speaking of agenda gaps, another piece of advice that I didn’t think of last week is that it’s OK if you don’t have every second of the day scheduled with sessions. There are some people who go full out, scheduling as many classes as possible. Others have gaps in their agenda. Both are perfectly fine, and both have their merits. Sage’s Brian Webb and Gret Tirico, right, chat with my fellow 2013 Endorsed Socialites Robert Wood and Debrah Burleigh at the Social Media Lounge. The ROI of a full schedule is obvious, but people tend to scoff at the idea that a lighter schedule can have the same ROI. However, for example, the mid-morning is a great time to visit the trade show floor to get some one-on-one time with the vendors when it’s much less crowded. Some of our customers make it a point to visit the trade show floor with our staff to learn about new vendors or learn about new products with their current vendors. Some people will overload if their schedule is filled every second of the day. It’s also not a bad idea to leave a gap here and there to decompress. (That doesn’t necessarily mean running off to the casino to gamble your brains out.) The Social Media Lounge was a great place to either decompress or catch up on your work back at the office. Don’t be afraid to visit this all-important area at Sage Summit just because the words “social media” are in the title. With plenty of comfortable seating, all kinds of charging stations, and some pointless frivolity, it’s a great place to unwind while staying connected with the conference. It’s also a great meeting place and perfect for networking. So remember to give yourself time to enjoy the conference by going at your own pace. And for that original tweet I read from Garden Center Magazine? That’ll have to wait for another day. 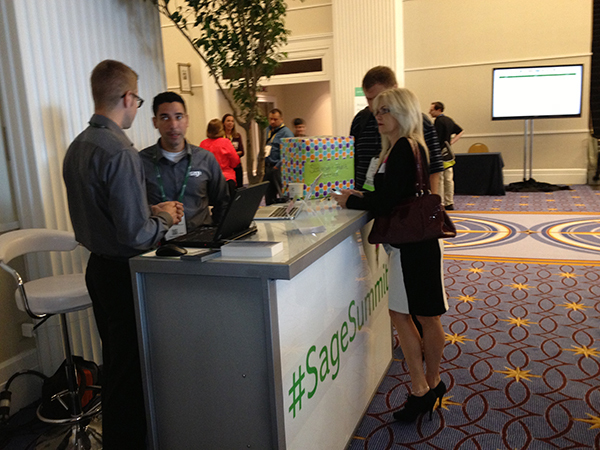 Do you have any suggestions about scheduling your agenda at Sage Summit 2014? Leave a comment below to share your advice!